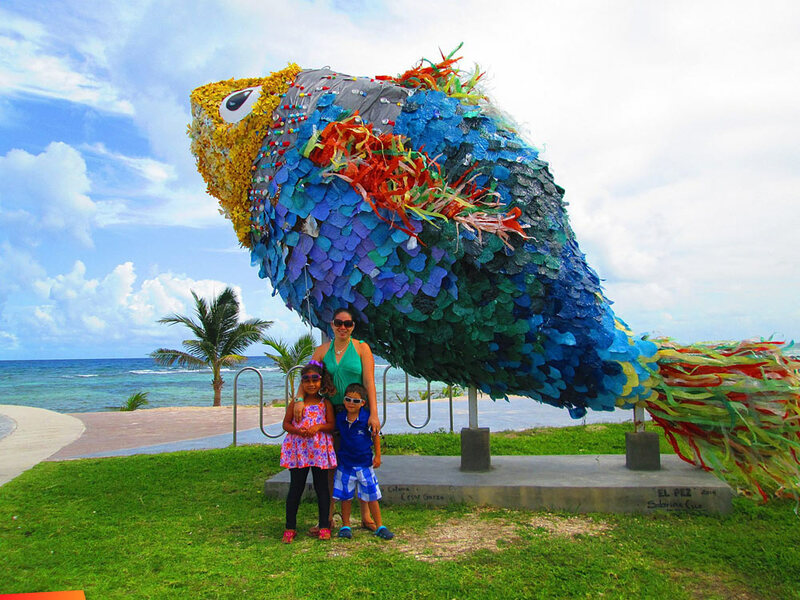 No it is not a piñata - It is a fish sculpture of recycled plastic bottles and material!! 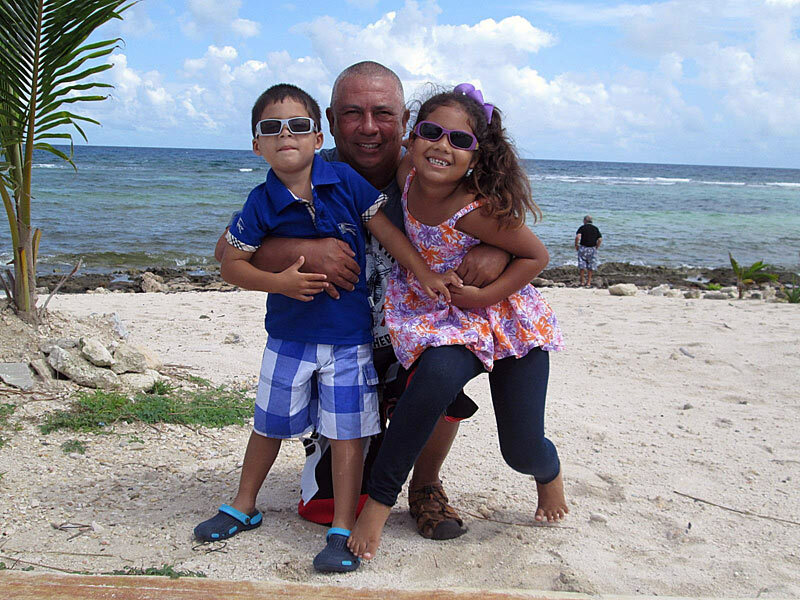 Some R & R at Mahahual. Mahahual is approximately 1 1/2 hrs. north east of Chetumal on the Caribbean coast. It is where the cruise ships dock. It is a beautiful little town. You can travel early in the morning, if you live in Corozal and Orange Walk and be back the same day. So easy to drive up to Mahahual from Corozal. In 1 1/2 hours you could be dipping your feet in that azure Caribbean Sea and indulging in a nice conch ceviche. Yes and a Pacifico! The kids wade in the shallow waters overlooking the reef. Service is just awesome.